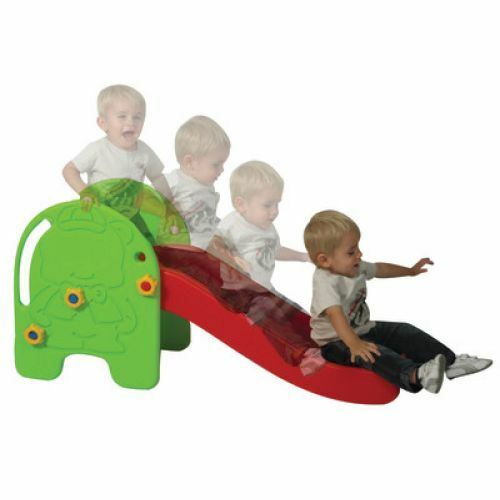 Indoor/outdoor toddler ramp has adjustable ramp heights from 14" to 17". Easy, no tool assembly! 22 1⁄2"H x 15 1⁄2"W x 44 - 46 1⁄2"L. Additional shipping charges apply.